I used to think there was a consensus among government-funded certified climate scientists, but a better study by Verheggen et al shows even that is not true. The “97% consensus” is now 43%. Fabius Maximus suggests we exclude the “I don’t knows” which brings up the number to 47%. Since these are “climate scientists” I don’t see why those responses should be excluded. 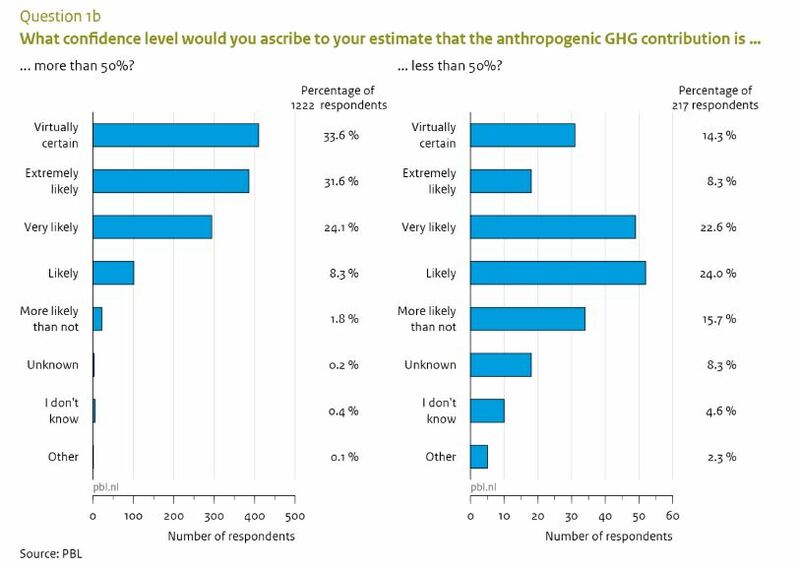 An expert saying “I don’t know” on the certainty question is an emphatic disagreement with the IPCC 95% certainty. 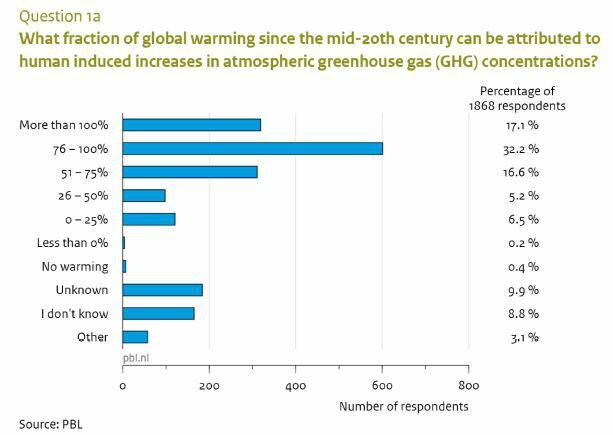 — Summary for Policymakers of the IPCC’s AR5 Working Group I. The researchers acknowledge that skeptics may be slightly over-represented, “it is likely that viewpoints that run counter to the prevailing consensus are somewhat (i.e. by a few percentage points) magnified in our results.” I say, given that skeptics get sacked, rarely get grants to research, and find it harder to get published, they are underrepresented in every way in the “certified” pool of publishing climate scientists. Skeptical scientists, I daresay, would be much less likely to use the keyword phrase “global warming” in the papers they do publish. I imagine it’s easier to get papers published that don’t specifically poke the mainstream buttons.